Emily Dupuis has been a dancer for 15 years and danced at a competitive level including hip hop, jazz, lyrical and krump. There is an additional fee for these weekly sessions. 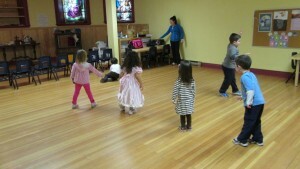 Carole Wright, owner of Musically Inclined, provides a group music experience to children between the ages of 2 – 5 years. The sessions are half an hour per week. There is an additional fee for participation in this programme. There are usually three sessions offered throughout the year from October – June. 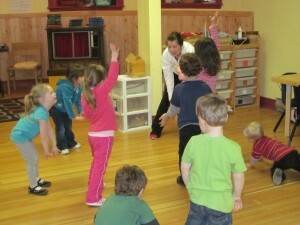 A non-denominational religious elective is available for children in the older preschool groups. This half-hour programme runs weekly from October – June depending on interest. There is no fee. Newsletters with details and permission forms for these electives are sent home periodically throughout the year, usually September, January and April.